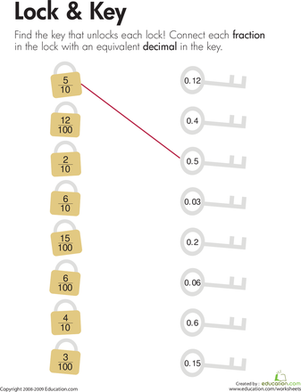 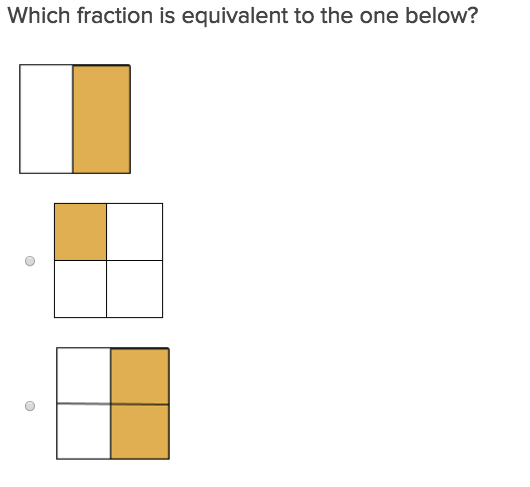 When it comes to fractions, not everyone gets the point. 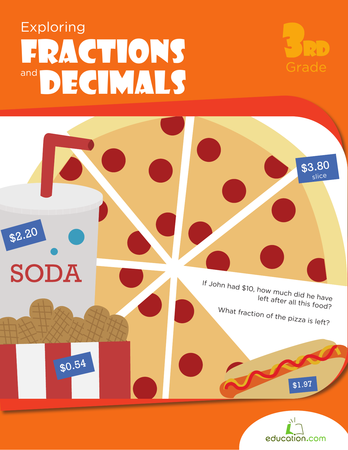 This worksheet will help your child understand the connection between fractions and decimals. 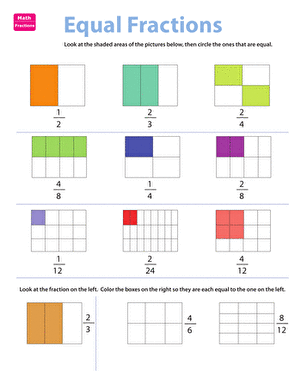 Practice is one of the keys to mastering concepts, and this third grade math worksheet offers great practice with equivalent fractions and decimals. 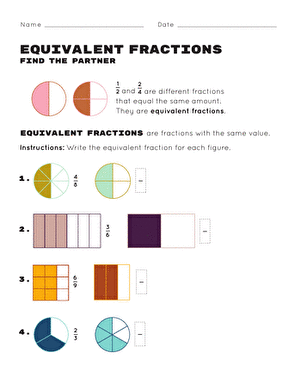 This matching worksheet is a great way to introduce students to equivalent fractions. 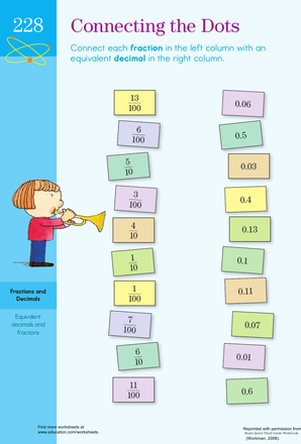 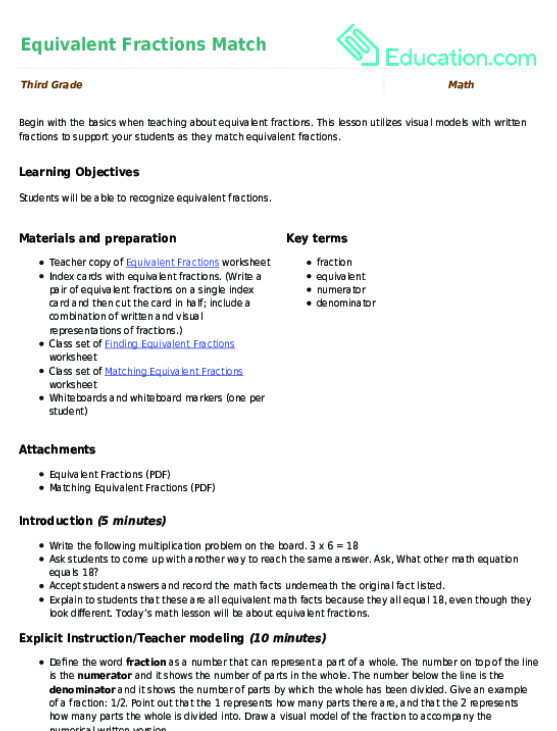 Use this glossary with the EL Support Lesson: Explaining Equivalent Fractions.